← 2014 in Review: Put in the Boys…. This is the first of a two-part series on Jeb Stuart’s 1862 Christmas Raid. After the Battle of Fredericksburg, the Confederate Army of Northern Virginia settled in the area south of the Rappahannock River near Fredericksburg. On Christmas day, Gen. Robert E. Lee ordered Maj. Gen. JEB Stuart to lead a daring raid on the rear of the Federal Army of the Potomac (then encamped in Stafford County). Lee wrote to Stuart “penetrate the enemy’s rear, ascertain if possible his position & movements, & inflict upon him such damage as circumstances will permit.” Taking with him 1,800 ca valrymen and a battery of horse artillery, Stuart set off on December 26th and set out looking for Federal supply depots and trains. Crossing the Rappahannock at Kelly’s Ford, Stuart ordered Brig. Gen. Wade Hampton to take his brigade and move on Occoquan while forces under Brig. Gen. Fitz Lee and Brig. Gen. W.H.F Rooney Lee moved eastward toward the Federal base at Dumfries. Defending the old colonial port town was Col. Charles Candy and a mixed force of infantry and cavalry, mostly Ohio and Pennsylvania troops. Due to several previous raids in the area by Wade Hampton, Candy was reinforced by an infantry brigade. Candy and his men were on the lookout for raiding parties as two previous raids on Dumfries were successful in capturing supplies and wagons. As the Confederates approached from the south, Stuart ordered a two prong attack on the garrison. Led by Gens. Fitzhugh Lee and W.H.F. 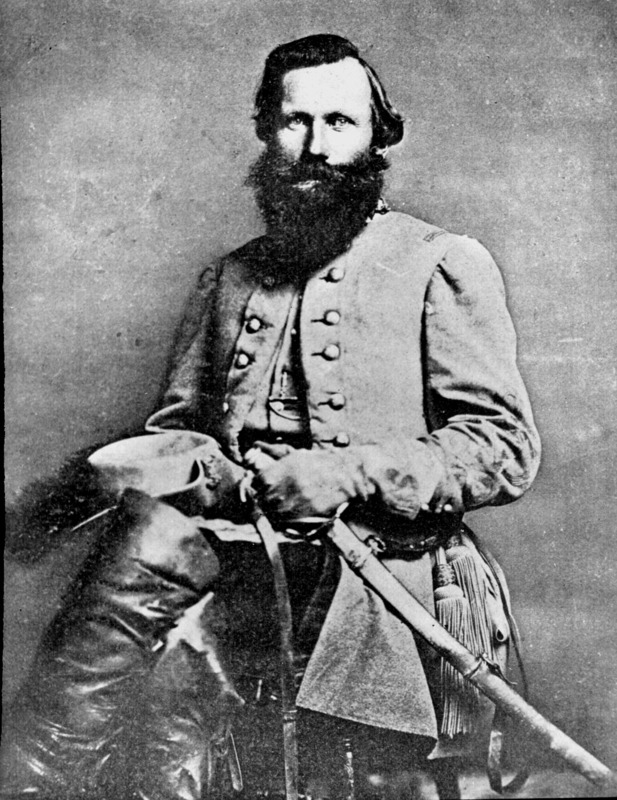 Rooney Lee, the Confederates assaulted Dumfries from the north and south. Stuart’s Horse Artillery bombarded the town, destroying many buildings, but Candy’s Federals repulsed numerous attacks. The losses on both sides were relatively light. Stymied at Dumfries, Stuart’s cavalry continued on to Occoquan to join Hampton’s brigade in search of supplies. The pro-Unionist town sat along the Occoquan River and was familiar to many of the Confederates as it served as their winter encampment the previous December. Hampton’s men quickly charged into town and cleared the picket post, capturing several unsuspecting Federals. With their presence now alerted to Federal cavalry, Stuart sent out various reconnaissances. Stuart also needed to weigh the benefit and risk of remaining so deep behind enemy lines. On December 28th Gen. Fitzhugh Lee’s cavalry brigade encountered 250 men of the 2nd and 17th Pennsylvania Cavalry on a reconnaissance and drove them back to Selecman’s Ford. The Confederate cavalry with Maj. John Pelham’s horse artillery charged single file across the ford and pursued the Federals two miles into Fairfax County where they sacked and burned a Union camp. 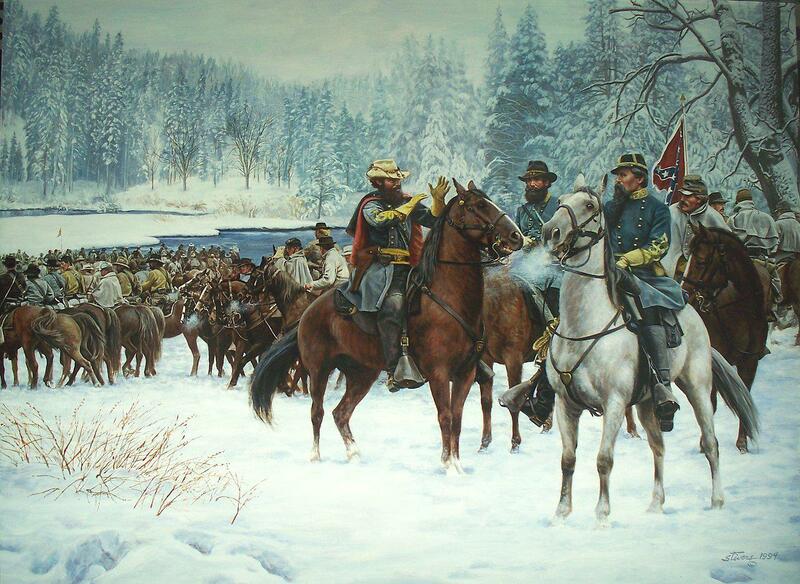 The outnumbered Federals lost 2 officers killed, 10 enlisted wounded, and 100 men captured. Early on the morning of December 29th, Stuart and his men approached Burke’s Station along the Orange and Alexandria Railroad in Fairfax County. Easily capturing the unprotected station and telegraph office. Stuart and his scouts spent time reading all the dispatches between Federal commanders along the telegraph – giving him valuable intelligence on where Federal forces were and how they perceived Stuart’s raid. Stuart learned where the Federal commander, Gen. Edwin Stoughton, was sending men to thwart the raid. Before leaving Burke’s Station, Stuart sent one of the more famous and funny messages of the Civil War. In a personal message to Federal Quartermaster Gen. Montgomery C. Meigs, Stuart wrote “General Meigs will in the future please furnish better mules; those you have furnished recently are very inferior.” Now with all of Federal forces within Fairfax and Prince William Counties alerted, Stuart had to find a safe way out for his 1,800 cavalrymen and return to Lee’s army south of the Rappahannock River. In true Stuart fashion, his route would be daring and unpredictable and would give birth to one of the most mysterious characters in American history. This entry was posted in Armies, Battlefields & Historic Places, Battles, Campaigns, Cavalry, Civil War Events, Holidays, Leadership--Confederate, Personalities and tagged Battle of Fredericksburg, Burke's Station Raid, cavalry, Christmas Raid, Fitz Lee, JEB Stuart, John Pelham, Montgomery Meigs, Robert E. Lee, Rooney Lee, Wade Hampton. Bookmark the permalink. Thank you for reading and your interest! 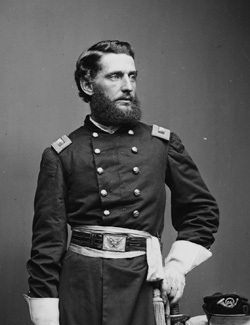 Mosby scouted for Stuart on many of his raids in 1862 and was with Stuart during the Christmas Raid. Thanks for the answer! That’s neat that Mosby and Rangers got to go with the “regular cavalry” on this raid. Nice article. Were the weather conditions as depicted in the Stivers print? Mike – Great question. The two paintings focusing on the Christmas Raid both show snow on the ground. Looking at the weather for the DC area (Bob Krick’s Civil War Weather in Virginia is a great resource) shows that there were some snow showers in December but the weather was rarely below freezing in late December and on Dec. 29th the high was 60 degrees! So doubtful there was snow on the ground in Northern Virginia…at least not in the amounts shown in the two modern prints.